We create websites for a number of professionals: Doctors, Nurses, Therapists, Counselors, Dentists, and more. Because these professionals serve a multitude of people, they want to make sure their websites are accessible to the most number of people. Visual Accessibility- What you can do to make your website easier to see? Fonts- Choose a clear easy to read font. Font Size- Make your type large and easier to read. And allow your users to change the font size to suit their needs. Spacing- Use generous amounts of spacing between lines, and elements to provide visual clarity. Colors- Choose highly contrasting color palettes. Simplicity- Keep things simple in terms of images, video, and layout. Images- Always add text descriptions to images so screen readers can give descriptions of the images. Headlines- Organize your content well with headline tags. Skip Links- Give your users with screen readers an easy way to get to your main content. 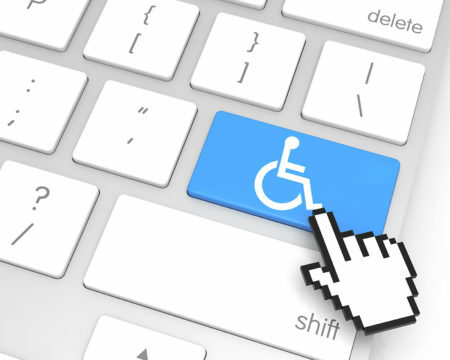 Besides this, there are many other little things you can do to make your website accessible. While this adds cost to a project, it can be a major benefit to your users and allow you to tap into a new market of unreached people.